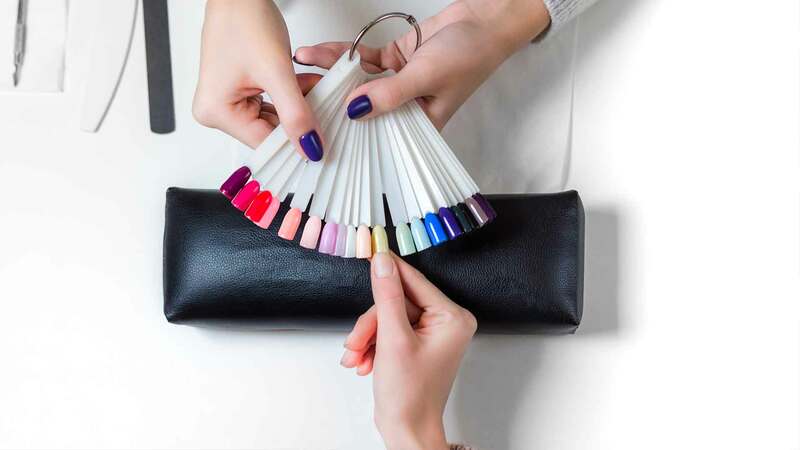 Shellac has only been on the market for a couple of years, but it has already become one of the most popular products we stock (many of the most fashionable women in Halifax have already started using it), and it's easy to understand why. It looks great, it doesn't need to dry, and it LASTS. Shellac brushes on just like regular nail polish, but then is cured and hardened by a few moments under a UV lamp. Shellac polish is available in a wide range of fashion-forward colors, and the best part? It lasts for weeks, chip-free! In fact, you only need to change it once your new nail growth begins to show, which for most people takes about two weeks. Most of our clients in Halifax choose to book their touch up appointment while the Shellac is being applied, but you can choose to wait until you feel like the touch up is necessary. So, say goodbye to chipping, peeling nail polish! Forget about worrying about your nails – you can feel free to garden, fish for your keys in your purse, type, or wash dishes without stressing that you'll ruin your new manicure. You can relax and feel sure that your Shellac manicure will look just as fabulous and fresh on day 14 as it did when you walked out of the salon!